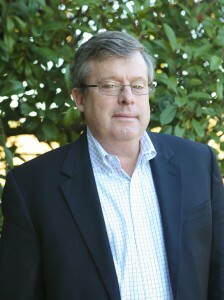 Robert L. Clement, III, a native of Charleston, SC, is a graduate of Episcopal High School in Alexandria, VA, and Washington and Lee University in Lexington, VA. For three years after college he worked for Royal Cup, Inc. in Birmingham, AL, and in Atlanta, GA before joining the commercial real estate firm of Laguarta, Gavrel & Kirk, Inc. in Houston, TX. Mr. Clement spent four years with the Houston firm before returning to Charleston where he joined the Max L. Hill Company, Inc., as Vice President and Manager of the Commercial Real Estate Division, a position he held for seven years. In March of 1993, Mr. Clement helped form the full service real estate firm of Clement, Crawford & Thornhill, Inc., known as CC&T Real Estate Services, and serves as its President. He is a developer and principal in a number of large developments including the Bell South Telecommunication Regional Headquarters, the Macalloy Project, the Midtown Project and Laurel Island. Mr. Clement is a past President of the South Carolina REALTORS®, 2007, the Trident Association of REALTORS®, 2002, and the Commercial Investment Division, 1995. He has been a Director of the National Association of REALTORS® since 2006, a position he also held in 2002. Over the years, Mr. Clement has been recognized for his hard work in real estate as well as in the Charleston community. In 2009 he was presented the prestigious Omega Tau Rho Award by the National and South Carolina Association of REALTORS®. In 2005 he was the recipient of the Charleston March of Dimes Lowcountry Real Estate Award and in 2004 he received the prestigious C. Dan Joyner REALTOR® Community Service Award. In 2003, the Charleston Trident Association of REALTORS® awarded him with the Commercial REALTOR® of the Year Award and he was also the recipient of the Legislative Grassroots REALTOR® of the Year by the South Carolina Association of REALTORS® in 2003. Mr. Clement has been active in many civic and charitable organizations, including the Historic Charleston Foundation, the Charleston Regional Development Alliance, the Charleston Area Convention and Visitors Bureau, the Charleston Museum, the Charleston Metro Chamber of Commerce, the Coastal Carolina Council of the Boy Scouts of America and the First Scots Presbyterian Church. An avid hunter and conservationist, Mr. Clement is restoring 1,000 acres of land known as Willingham Plantation in Allendale, S.C. He has enrolled the plantation in a unique wetlands restoration program, bringing back indigenous plants and wildlife. Mr. Clement resides in the historic district of Charleston with his wife Carol and their four children, Chip, Coleman, Helen and Lebby. In the US, modafinil is sold in pharmacies under the name Provigil and is approved by the FDA. It is prescribed for patients suffering from narcolepsy, drowsiness and sleep disorders, dyspnea, and a sharp decrease in the frequency and depth of breathing.